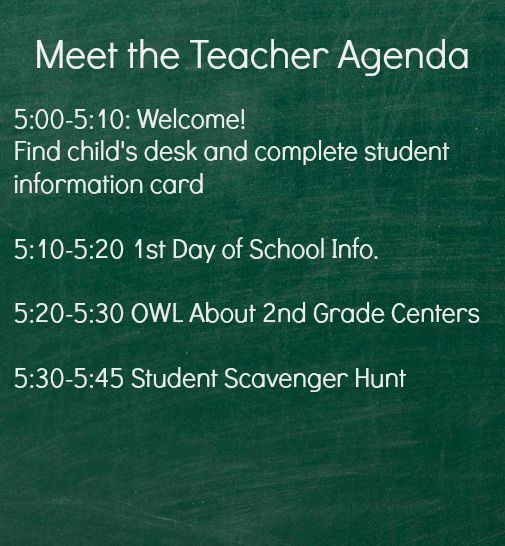 Just the mention of Meet the Teacher or Curriculum Night makes most teachers break out into a cold sweat. Why is this? We speak in front of people all day, every day, but the difference is their age. Children will still love us if we make a mistake, get nervous or act silly (they especially love when this happens). Adults by nature are more judgmental and harder to win over. Stop the dread and take back control with these 5 easy steps. 1. Prepare, prepare, prepare: Plan your handouts and student activities at least 2 days before the big event. Don’t wait until last minute–that’s when the copier breaks or the computer runs out of ink. 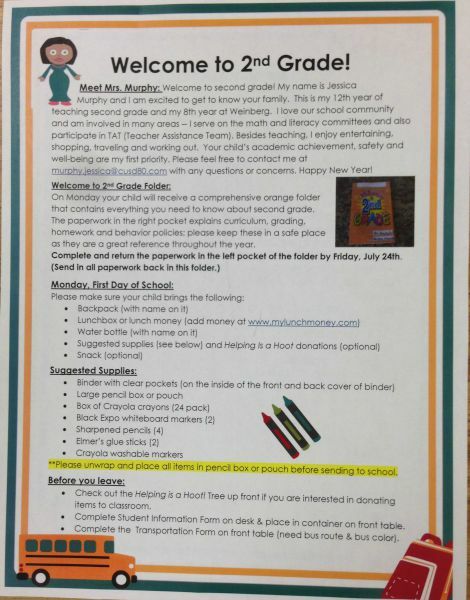 On each student desk, I place a student information card along with a Welcome to 2nd Grade form that outlines everything students will need on first day of school. Before I start my presentation, I have parents complete the card and read the Welcome to 2nd Grade form as we wait for everyone to get to the classroom. Many schools now combine Meet the Teacher and Curriculum Night and this can be so overwhelming to all parties involved. Parents are often in and out of your classroom during Meet the Teacher, making it difficult to listen to a full curriculum presentation. 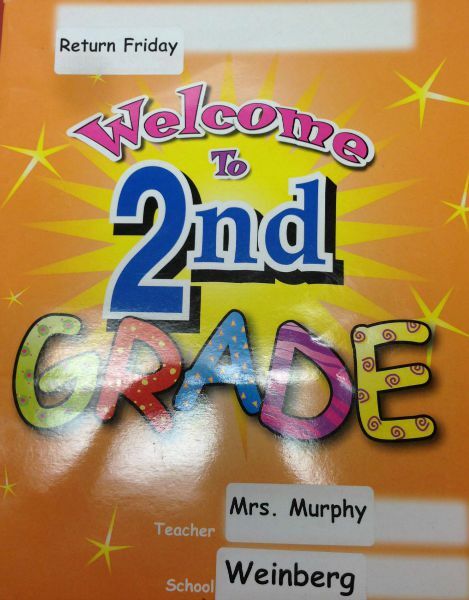 At Meet the Teacher, I explain that on the first day of school, I will send home a comprehensive Welcome to Second Grade folder. In one pocket of the folder, I include all of my policies and procedures. This includes an introduction, Meet Mrs. Murphy, curriculum overview, grading procedures, specials and classroom schedule, and much more. Parents read these and keep at home as a reference throughout the year. In the other pocket of the folder, I include all the paperwork that needs to be signed and returned. This includes office paperwork, volunteer form, and the classroom directory. Parents return the signed paperwork by Friday. I show them an example as I explain the folder so they know what to look for on Monday. Not sure what to say at Meet the Teacher and Curriculum Night? Download our Welcome Back to School Parent Packet for several important customizable letters and forms. Use the coupon code hoot50 for 50% off all of our digital files! 2. Post directions & agenda for the night: Write specific directions for parents to read as they come into the classroom. Make sure they know they must fill out transportation form, room parent slip and student information card. Plus it gives them something to do (other than staring at you) while waiting for the presentation to start. 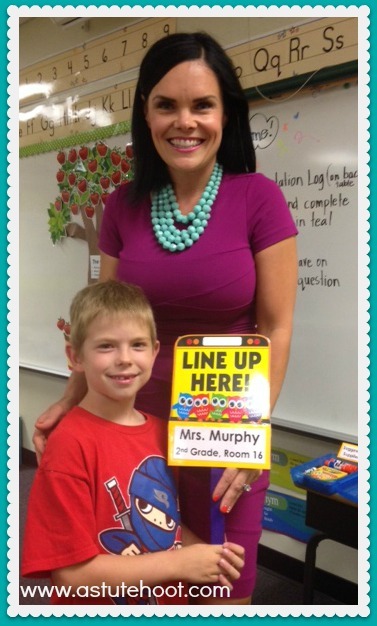 Many parents must attend more than one Meet the Teacher on the same night. Help these parents by posting an agenda (with times) for the night so they can determine the best time to quietly exit and go to next session. 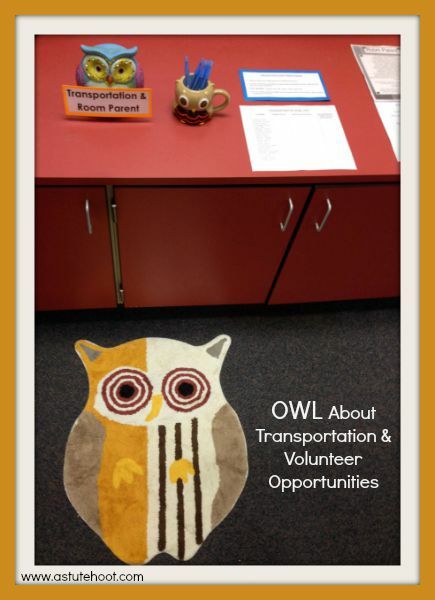 This year, I placed 4 owl rugs around the classroom at the 4 centers I wanted parents to attend before leaving. 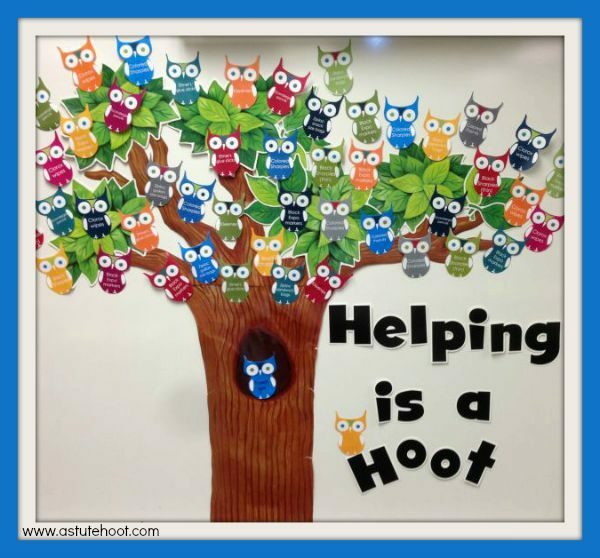 These centers included OWL About 2nd Grade, Helping is a Hoot, OWL About Transportation and Volunteer Opportunities and WHOOO’s Hungry? (refreshments–see below). 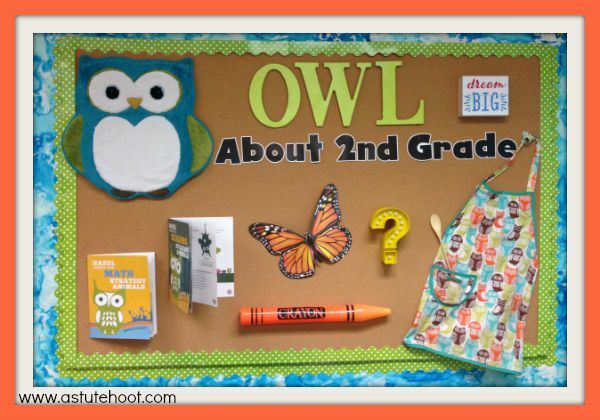 On the board, I wrote, “Learn OWL about 2nd grade by traveling to each center marked by an owl rug.” This visual made it easy for parents and students loved discovering each owl center. 3. Serve refreshments: It is polite to serve refreshments for guests in your home and the same etiquette applies in the classroom. I purchase inexpensive cookies (from Target or Walmart) and place on serving trays. Add decorative napkins and flowers as a finishing touch. 4. 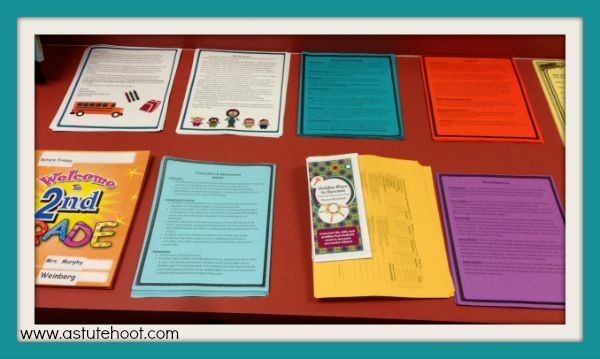 Provide engaging activities for students: At the beginning of the night, I need to address just the parents and don’t want students talking or running around the room. While parents are completing necessary paperwork, I gather students (and their siblings) and bring them to the carpet area where I give them a word search, pencil and white board. I explain directions and set expectations for their behavior. I also pass out lollipops to eat–this keeps their mouths busy while I am addressing parents. 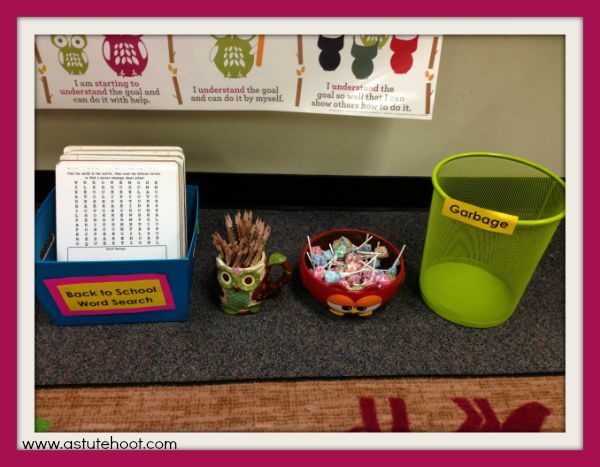 Be sure to put a garbage can there as well or you will have wrappers and sticks all over the room. After I speak to parents, I give the kids a scavenger hunt with 9 boxes of items to find in class. 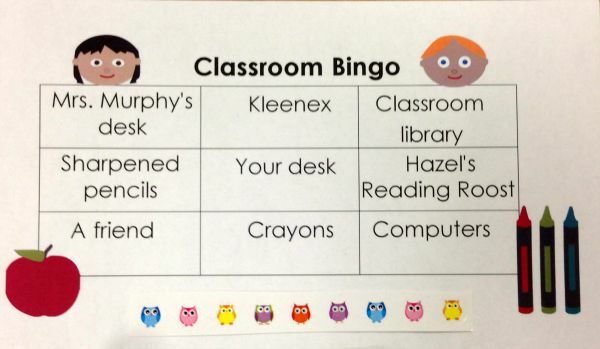 I glue small, round stickers to each scavenger sheet; students place a sticker on the box after the item is found. 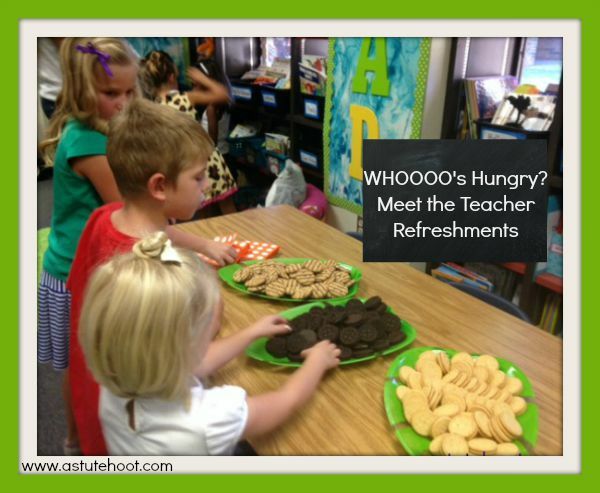 When students are finished, they get to help themselves to refreshments (I set a limit on number of cookies or you will have a couple that will try to take the whole tray–trust me, I’ve learned from experience). 5. 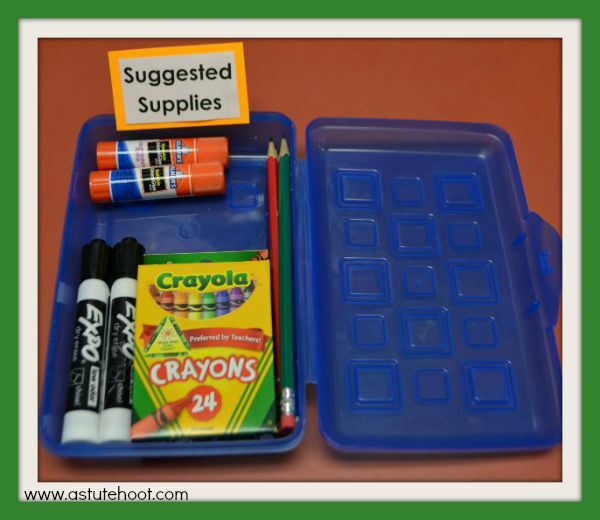 Create suggested supplies visual: Each year students come in with random bags of supplies and rarely want to share them with the rest of the classroom. To alleviate this problem this year, I listed specific supplies I wanted to students to bring and then created a visual of what the supplies should look like. I simply purchased a medium-sized pencil case and glued the requested supplies inside and showed it during the presentation, reminding parents to unwrap items and place inside case as shown. This year all the students brought their prepared pencil cases just as I had shown and it was a HUGE time-saver! They simply put inside their desks and we were able to move on to other procedures. 6. 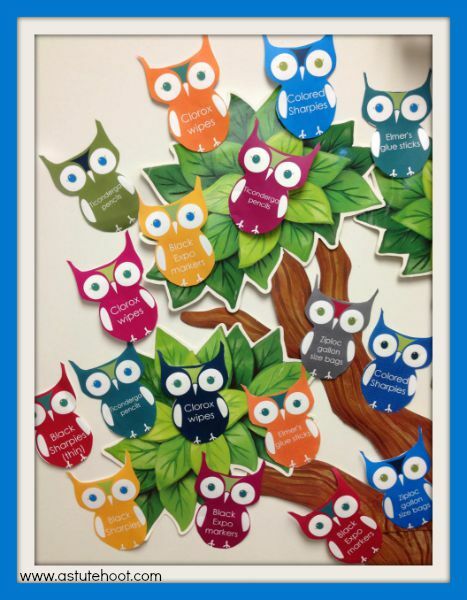 Helping is a Hoot: Parents love to donate supplies at the beginning of the year, so I created a Helping is a Hoot tree; each owl has a needed supply written on it. Remind parents to pick an owl or two before they leave for the night. They return the owl with donations during the first week of school. Be sure to thank them for giving a hoot! 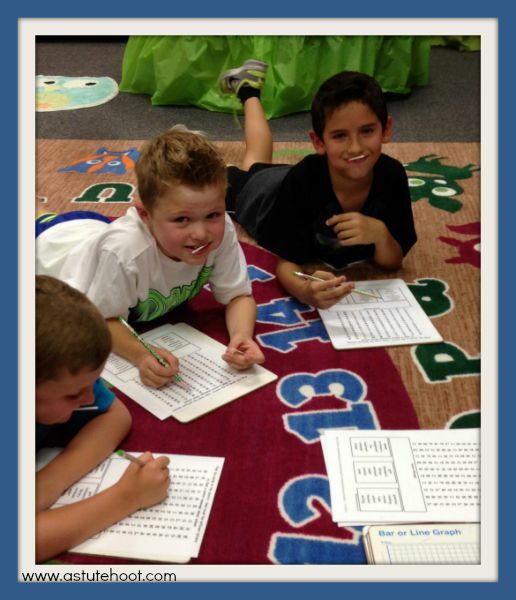 Helping other teachers and students is our passion and we are excited to contribute to your classroom success! We know Back to School time is so expensive for teachers and we want to help! Use the coupon code hoot50 for 50% off all of our digital files! Check out our other Back to School blogs for additional tips and tools: Back to School Organization 101, Back to School Cooking, The Art of Active Listening, and Classroom Management Keys and many more. Happy New Year! Thank you so much for the honor! We appreciate it! I would like to personally congratulate you as your blog Astute Hoot has been selected by our panelist as one of the Top 100 Special Education Blogs on the web. I personally give you a high-five and want to thank you for your contribution to this world. This is the most comprehensive list of Top 100 Special Education Blogs on the internet and I’m honored to have you as part of this! Follow Astute Hoot on Bloglovin! 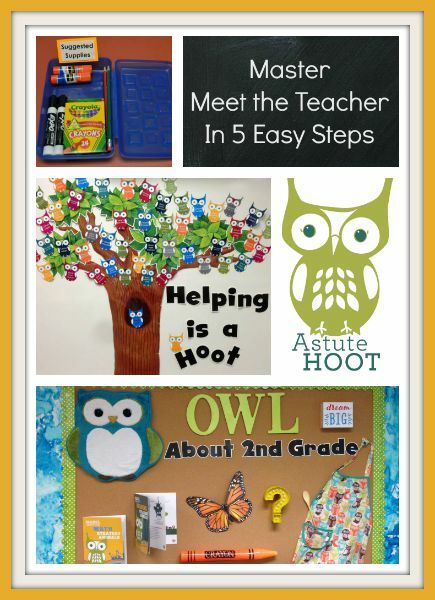 Follow Astute Hoot on TPT! Sharing would be a HOOT!